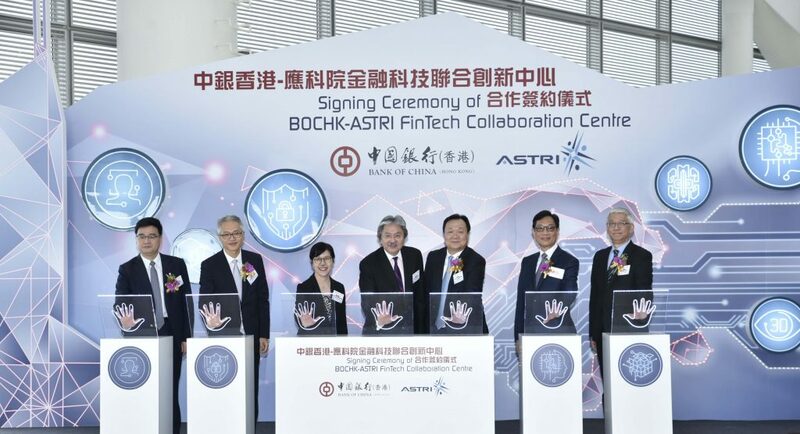 Bank of China (Hong Kong) Limited (BOCHK) and Hong Kong Applied Science and Technology Research Institute (ASTRI) today signed a Memorandum of Understanding to establish the “BOCHK-ASTRI FinTech Collaboration Centre” (Centre), which aims to develop latest financial technologies (FinTech) which can be applied to the banking industry, fostering FinTech’s development in Hong Kong. A signing ceremony was held at 70/F of Bank of China Tower today, and was officiated by Mr John C Tsang, Financial Secretary; Mr Yue Yi, Vice Chairman and Chief Executive of BOCHK; Ms Annie Choi, Commissioner for Innovation and Technology; Mr Wong Ming-yam, Board Chairman of ASTRI; Mr Howard Lee, Senior Executive Director of Hong Kong Monetary Authority; Mr Zhong Xiangqun, Chief Operating Officer of BOCHK; and Dr Frank Tong, Chief Executive Officer of ASTRI. 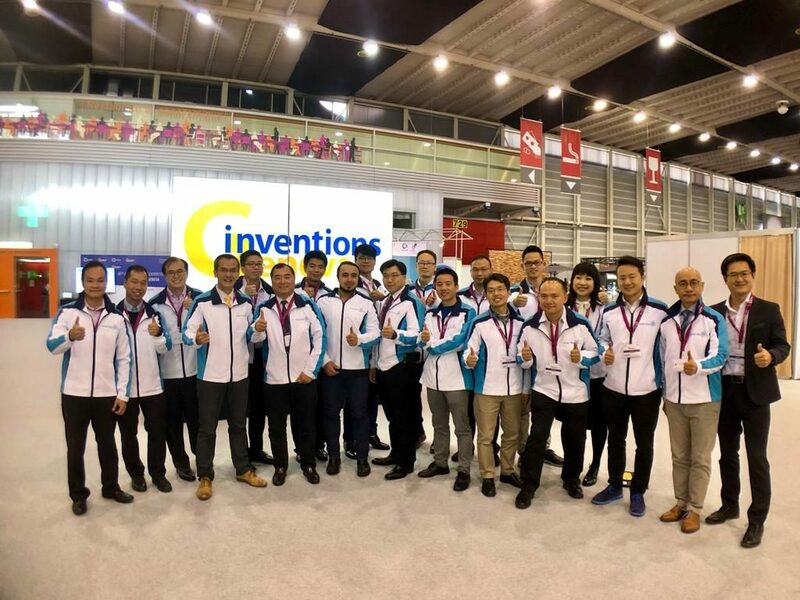 “FinTech is one of the major areas of applications that ASTRI’s R&D efforts are directed to. 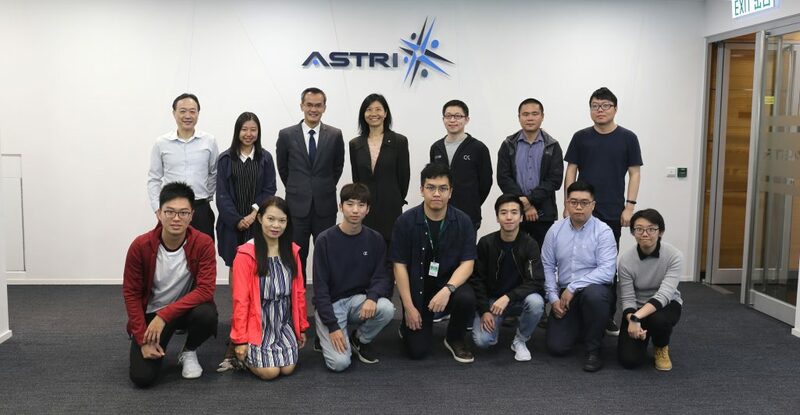 In the coming years, ASTRI will dedicate more than 100 R&D experts to FinTech-related projects. We are very glad to be able to work with BOCHK together to contribute to Hong Kong’s FinTech development. The setting up of the Centre is a strong boost to the growth of FinTech. Experts from both parties will work closely together in the future. 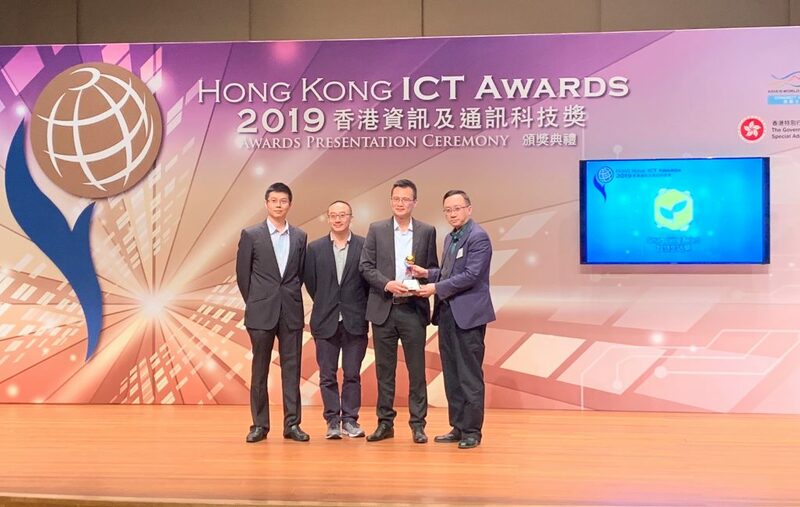 We are confident that FinTech will help raise operational efficiencies of local financial institutions and bring convenience and security to consumers, benefitting both the financial sector as well as consumers,” said ASTRI’s Board Chairman Mr Wong Ming-yam. The Centre will embark on a number of projects. Focus areas include: blockchain technology, electronic payment technology, cyber security, big data analytics, behavioural recognition technology and so on. Mr Zhong Xiangqun, Chief Operating Officer of BOCHK (left), and Dr Frank Tong, Chief Executive Officer of ASTRI (right), sign the Memorandum of Understanding to set up the “BOCHK-ASTRI FinTech Collaboration Centre”. 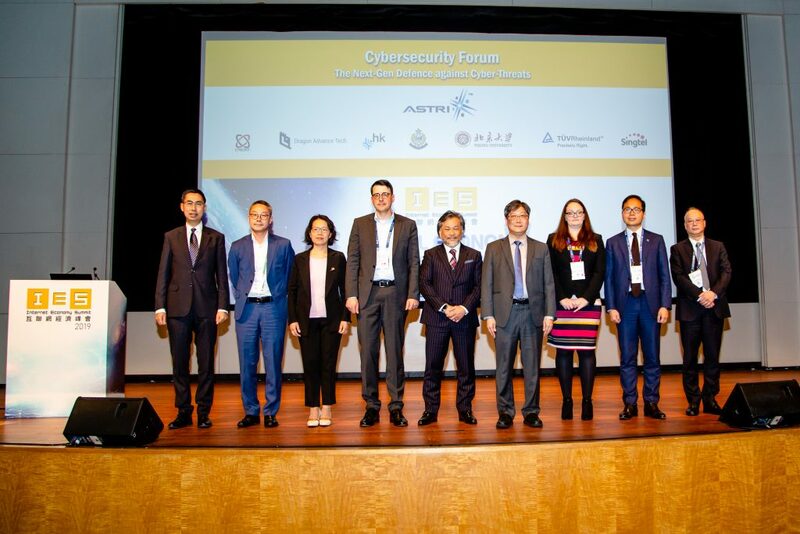 Mr John C Tsang, Financial Secretary (centre); Mr Yue Yi, Vice Chairman and Chief Executive of BOCHK (third right); Ms Annie Choi, Commissioner for Innovation and Technology (third left); Mr Wong Ming-yam, Board Chairman of ASTRI (second right); Mr Howard Lee, Senior Executive Director of Hong Kong Monetary Authority (second left); Mr Zhong Xiangqun, Chief Operating Officer of BOCHK (first left); and Dr Frank Tong, Chief Executive Officer of ASTRI (first right); officiate at the launch ceremony to mark the establishment of the “BOCHK-ASTRI FinTech Collaboration Centre”.